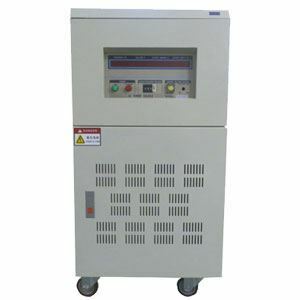 8 kVA single phase AC power frequency converter, change 110V 60Hz to 220V 50Hz (vice versa), output frequency up to 400 Hz, built-in step up transformer, output voltage up to 300V single phase. If f is increase than sin value will be less, voltage will be reduced, due to this factor 60 Hz motor may not run on 50 Hz power supply because of its voltage parameter and sine angle. If we design the system with vary of voltage and frequency than it may work, like this single phase frequency converter for converting 50Hz 60Hz power supplies.